Regardless of how many Bibles you may already have, a study Bible is a must if you intend to deepen your understanding of God, His character, His methods, and His commands. 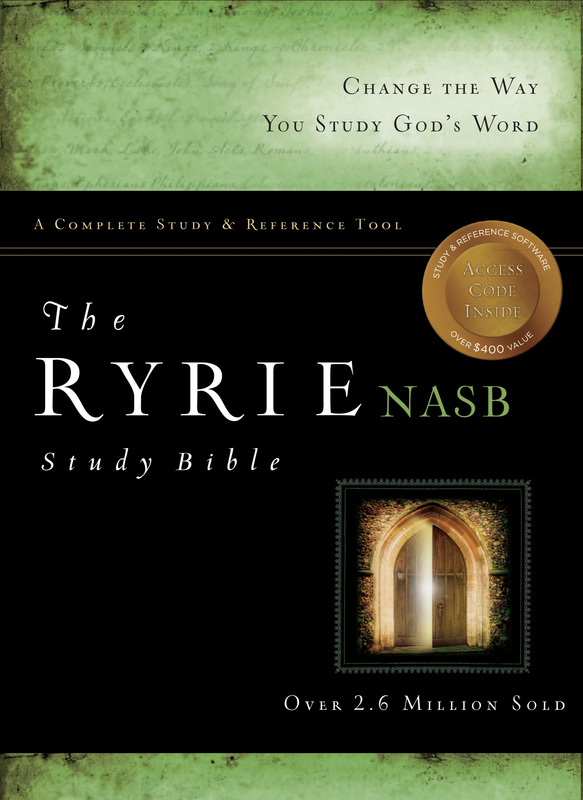 The Ryrie NASB Study Bible (1995 New American Standard Lockman Foundation translation) is purposely designed to keep the focus on God's Word, the 10,000 explanatory notes are written to enhance, not comment on Scripture. And whether you are a new believer or a mature Christian, Dr. Ryrie includes helpful articles to further your knowledge of the Bible. NASB Ryrie Study Bible: Burgundy, Genuine Leather by Charles C. Ryrie was published by Moody in April 2012 and is our 8923rd best seller. The ISBN for NASB Ryrie Study Bible: Burgundy, Genuine Leather is 9780802484680. Be the first to review NASB Ryrie Study Bible: Burgundy, Genuine Leather! Got a question? No problem! Just click here to ask us about NASB Ryrie Study Bible: Burgundy, Genuine Leather.